We’ve developed a broad range of food processing methods that can be used to create an enormous variety of products, from ready to cook to fully prepared. We don’t believe in settling for the status quo. Our food processing methods undergo continuous evaluation and improvement. 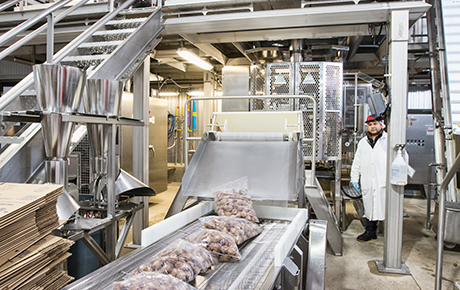 We regularly add new equipment to our facilities to enhance our food processing methods, capabilities and expertise. If the product you’ve got in mind requires a process not currently in our portfolio, we have both the commitment and the financial resources to work with you to develop whatever it takes to meet your needs, from equipment to production processes. See the processing capabilities you are looking for? Contact us or check out our product capabilities.